Live Art event in London, as a part of exhibition Sweetest Dream, Unity and Dissonance in Europe, we have organised a walk between Marble Arch park and [space] gallery in London, UK. 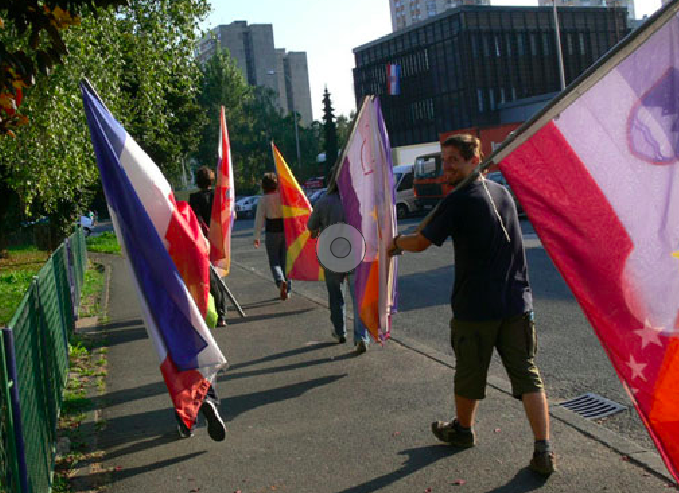 The walk lasted 6 hours, 26 people were involved by caring 26 flags. 2006. 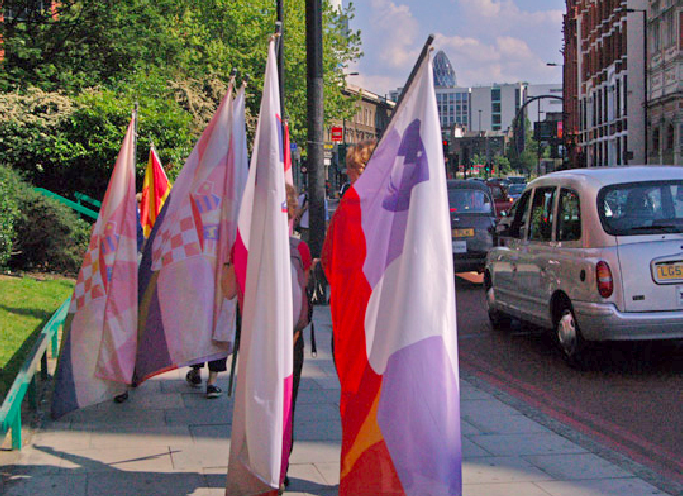 Alongside the public art presentations of the work and the gallery exhibitions, the flags were carried through a number of cities as a form of live art event. 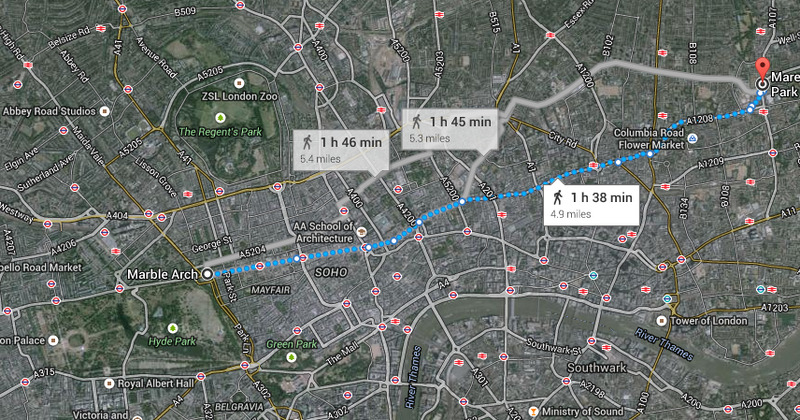 This time in London, a group of 26 people walked for 5 hours from Marble Arch, Central London to Space Gallery in Hackney. 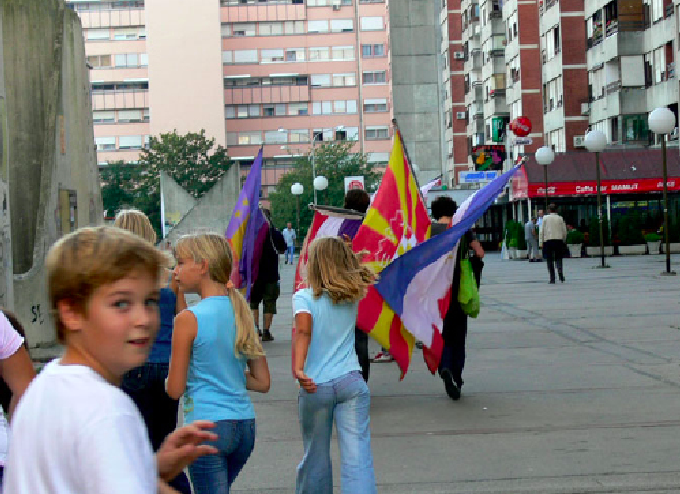 Passing through various parts of the city areas was synonymous with ‘bridging the borders’ (one aspect the morphed flags project supports). The walking performances also gave passers-by the opportunity to talk with the flag bearers and myself – as the artist and one of the flag-bearers. 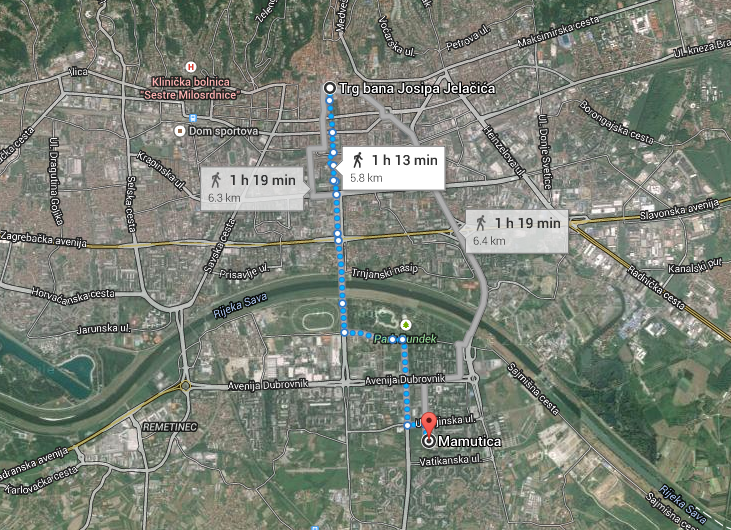 ‘…Advanced Science of Morphology’, the walk route, 6 people, 3 hours. that once made up Yugoslavia. 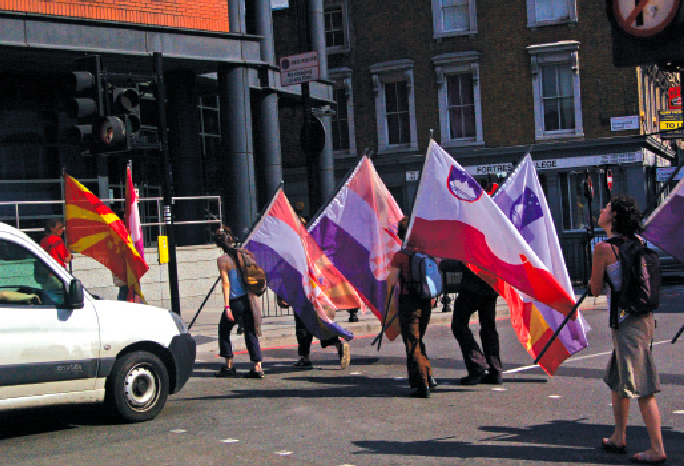 Alongside the public art presentations of the work and the gallery exhibitions, the flags were carried through a number of cities as a form of live art event. 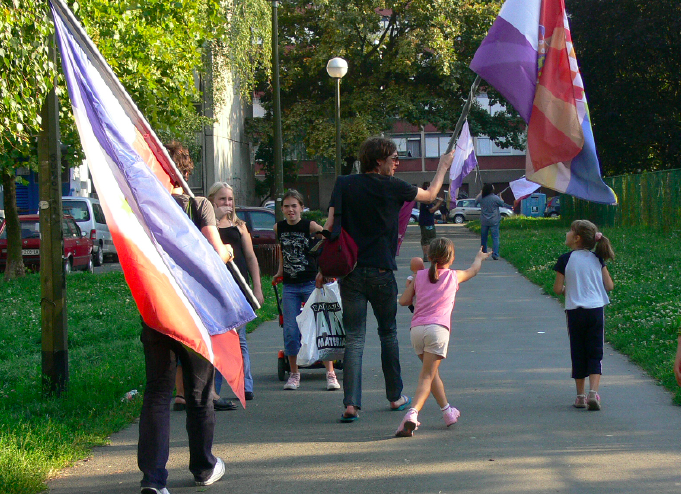 This time in Zagreb, we took the flags to area of Mamutica in the perifery as well as the City center. 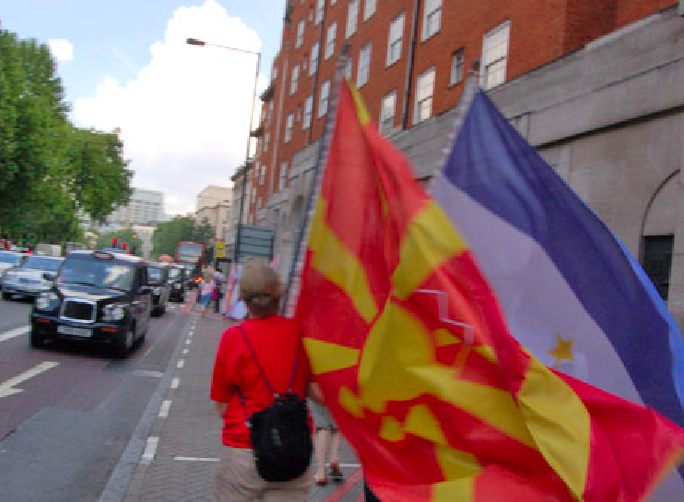 Passing through various parts of the city was synonymous with ‘bridging the borders’ (one aspect the morphed flags project supports). 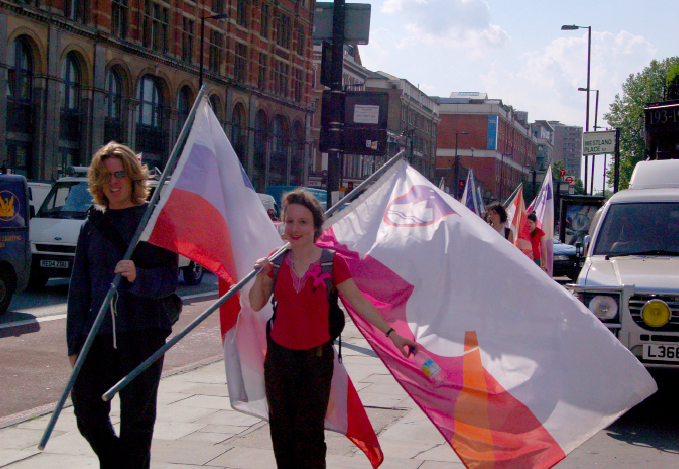 The walking performances also gave passers-by the opportunity to talk with the flag bearers and myself. 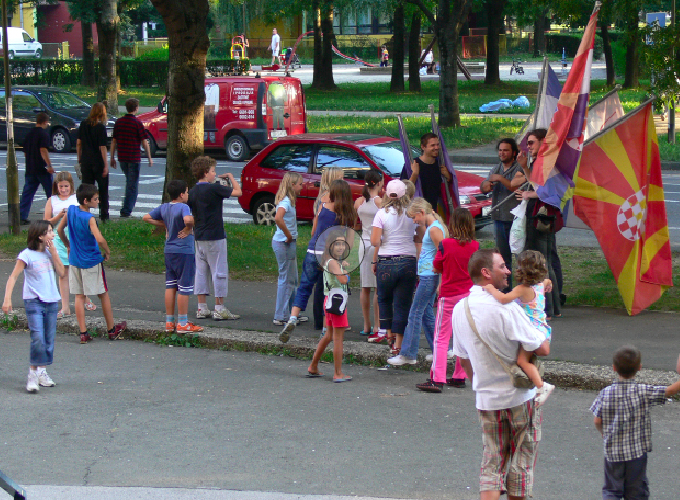 The reception of the project and debate with passers, varied from friendly to aggressive.